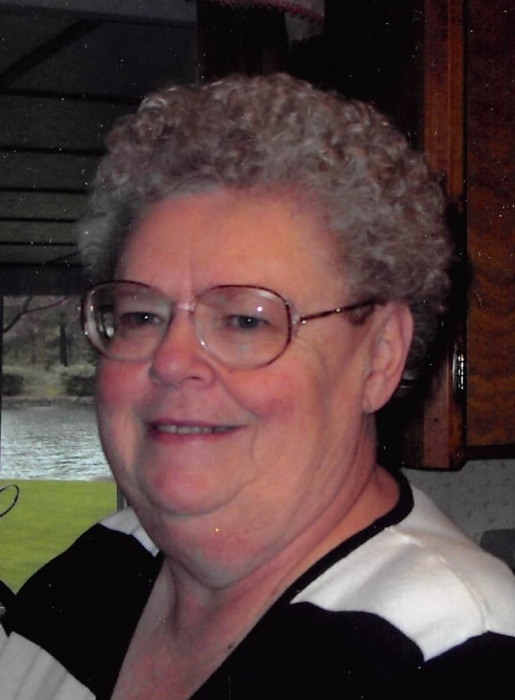 Obituary for Phyllis K. (Stuckey) Hahn | Schaffer Funeral Home, Inc.
Phyllis K. (Stuckey) Hahn, 78, of Defiance, passed away on Thursday, February 7, 2019 at The Toledo Hospital. Phyllis was born on April 26, 1940 to Willard and Ethel (Sanford) Stuckey at Defiance Hospital. She graduated from Defiance High School in 1958, and attended Asbury College in Wilmore, KY, and Defiance College for 2 years. She married Ordis Hahn on September 29, 1962 after meeting him on a blind date. Phyllis is a member of Zion's Lutheran Church in Defiance. She worked for 55 years, beginning at age 16 and retiring at age 71. Her first (and favorite) job was as a waitress at Wellman's Restaurant in Defiance. She spent 29 years at Dinner Bell Foods until they were forced to close, and she retired from Defiance Hospital after 11 years of service. She also worked at John's Manville, Defiance College Library, and Bush Plumbing and Heating. Phyllis volunteered and served as secretary and board member at Auglaize Village for 10 years. She was an EMT for South Richland Fire Department, and a member of their Auxiliary, serving as their treasurer for several years. Phyllis and her husband worked the craft shows for 10 years with homemade wooden toys and wood painted crafts. Phyllis is survived by her husband, two children: Tim (Trisha) Hahn of Paulding, and Tina (Bruce) Colwell of Defiance, and two grandchildren: Christopher (Stephany) Colwell of Defiance, and Tiffany Hahn of Celina, Ohio. Also surviving are siblings: Karen (Jerry) Mangas of Defiance, Judy (Russell) Butler of Defiance, David (Teressa) Stuckey of Delaware, OH, and Jack (Yaoko) Stuckey of Ridgefield, NJ. She was preceded in death by her parents, and an infant brother, Larry Stuckey. Visitation will be held from 2-7 pm on Sunday, February 10, 2019 at Schaffer Funeral Home in Defiance, and for one hour prior to services at the church on Monday. A funeral service will be held at 11:00 am on Monday, February 11, 2019 at Zion's Lutheran Church in Defiance, with Pastor Tim Reynolds officiating. Burial will follow the service at Riverview Memory Gardens. Memorials are suggested to Zion's Lutheran Church Memorial Garden, or to a charity of the donor's choice. Online condolences can be given at www.Schafferfh.com.